Poetry seems to be my thing this year. Short and snappy, it enables me to focus on one theme and get something written at one sitting. Then there is endless pleasure in returning, tweaking, playing with language, shaping and polishing. The process never ends. 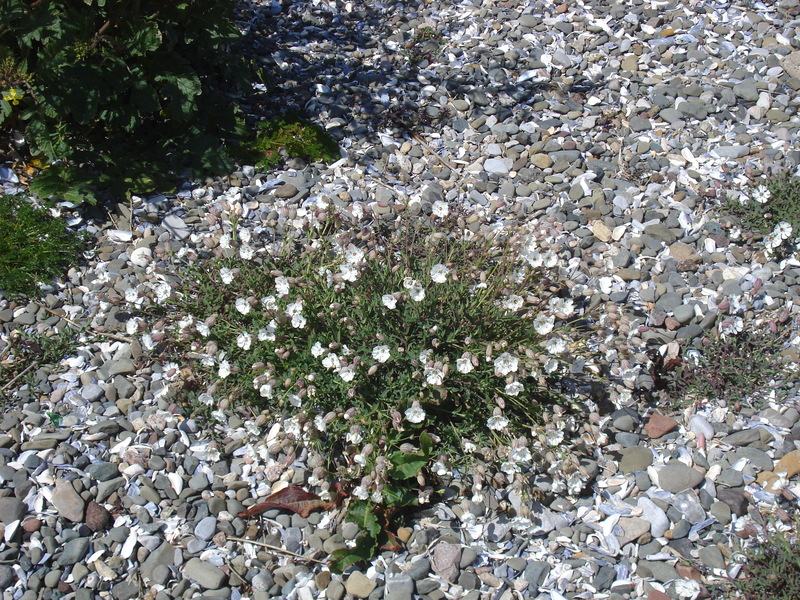 So when the sun shone and the opportunity arose to go to a poetry workshop with local poet Geraldine Green on Piel Island at Barrow-in-Furness, I took the opportunity. Barrow is one of these nearby places I rarely visit ; at the end of a peninsula on the road to nowhere except the sea, there isn’t often a reason. But the poetry workshop spurred me on, as did reading up about this unique island which has its own castle, king and knights as well as a pub that serves good chips. 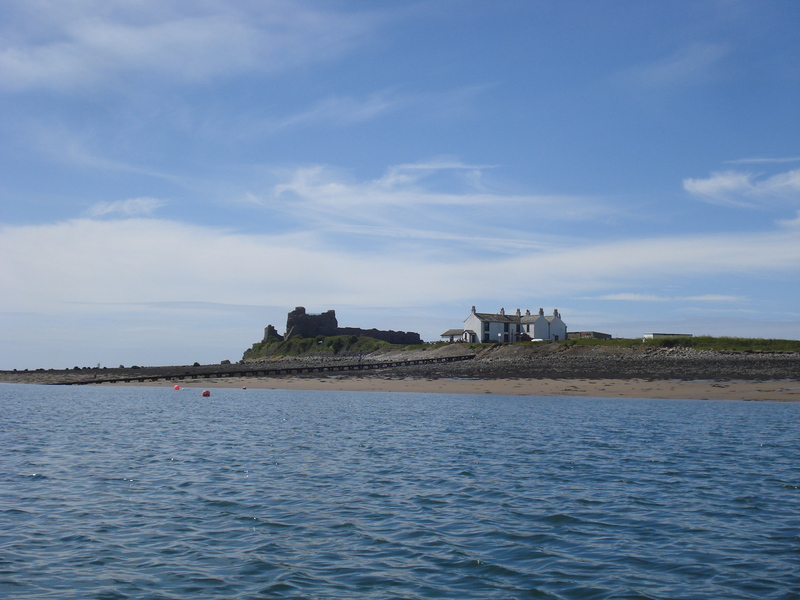 It guards the southern entrance to the channel between Walney Island and Barrow, the bulk of its castle visible for miles across the sands. 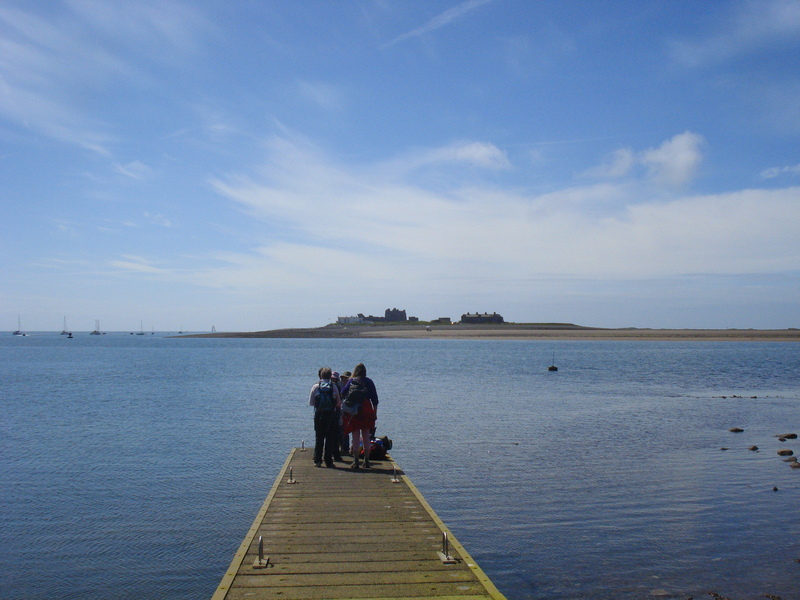 You access the island by ferry from Roa Island, which is reached by causeway from the mainland. We arrived at low tide. They’ve just built a new pier, but unfortunately they didn’t build it long enough. This meant that our 10.30 departure didn’t leave till the waves started lapping the pier end at 11.15. However, this was no hardship as we just turned to the sun and took in the enticing views of our destination. 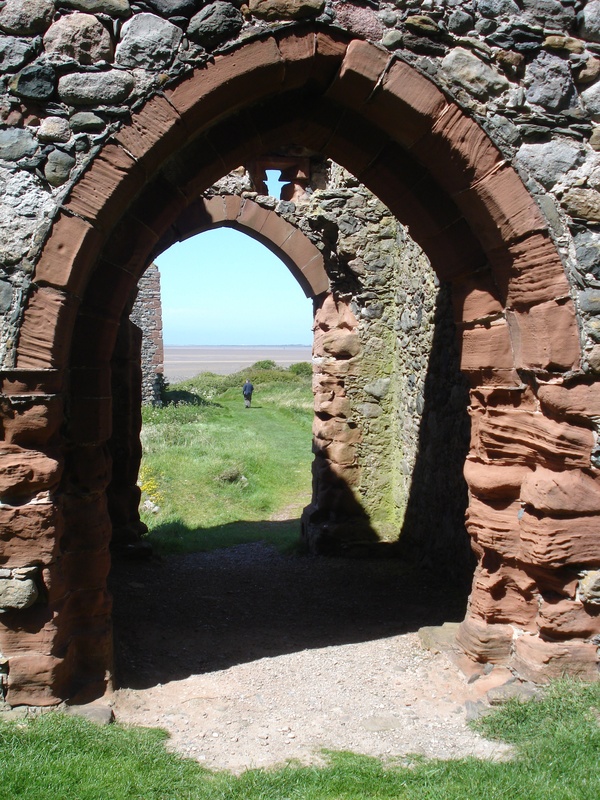 Once ashore we went camera-mad – the wild flowers, seaweed, ramparts, stones and views through arches were all too enticing. 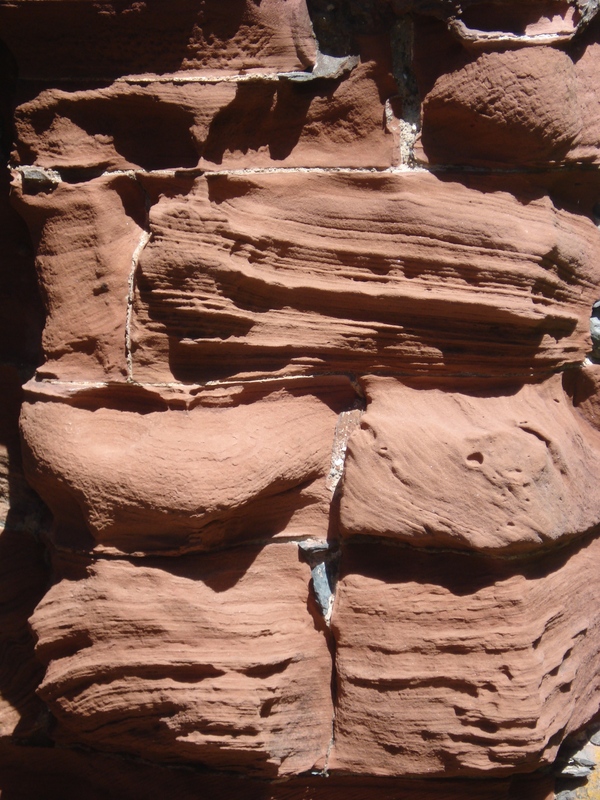 Then Geraldine sent us off with notebooks, and a series of apposite prompts – walk, make notes, take it in with your sense, write something …. and return in an hour. I tried not to feel pressured. The prompt to include the line ‘they capture the island with the cameras’ leapt out at me. I circled the island and wrote. Once I got home the poem found its own shape, and here’s the result. It probably needs a bit more tweaking, but this is how it is today. 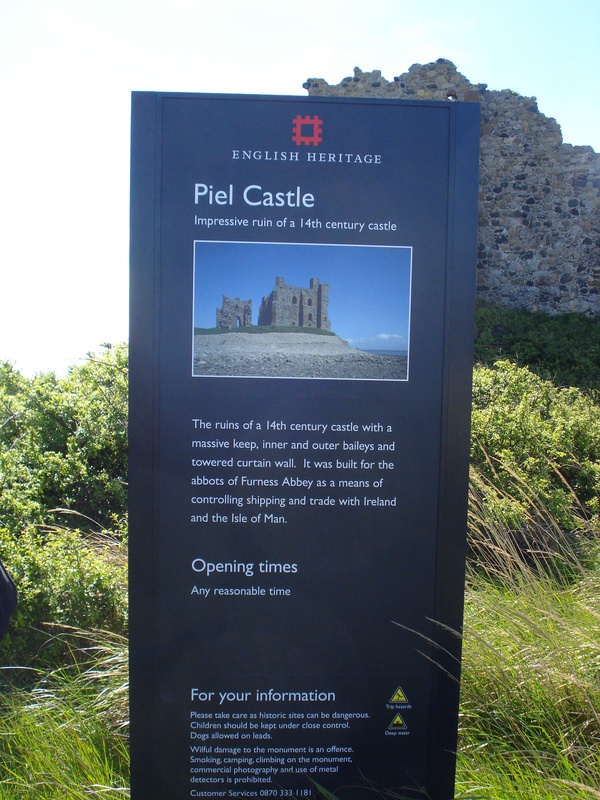 You can find out about Piel Island at http://www.pielisland.co.uk/ There is accommodation at the pub, and you can camp if you like that sort of thing. The castle, as the photograph indicates, is open at ‘any reasonable time’.